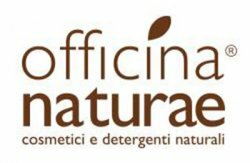 Officina Naturae produces ecological detergents and natural cosmetics by following clearly defined rules. The production cycle and distribution must be ethical, formulations environmentally friendly, effective, simple and safe to humans and environment. They use only vegetable and mineral raw materials from organic farming or from fair trade projects trying to give priority to those from local crops thus shortening the supply chain and delivering the concept of km 0 also to cosmetics. They also adheres to Vegan OK regulation not using animal ingredients and not commissioning animal tests. In line with its philosophy Officina Naturae plays an active search to identify a sustainable packaging currently identified in the use of recycled plastics, softbox, bioplastic made from sugar cane and a design studied to optimize space during transport. 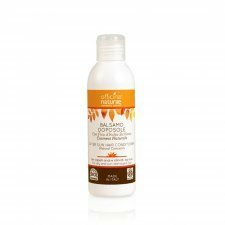 Natural after-sun hair conditioner formulated to restore the structure and nourishment to the hair weakened and dry after exposure to the sun. The balm is enriched with Vitamin E and extract of sicilian prickly pear, it does not weigh down the hair and makes them soft and easy to comb. 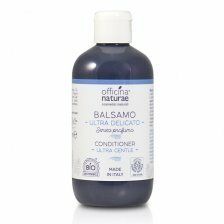 Detangling conditioner for animals formulated with raw materials of vegetable origin, safe materials, effective and not dangerous to the health of our animal friends, suitable to the skin and the hair of dogs, cats and pets. It does not contain conditioning petrochemical, silicones and synthetic perfumes. 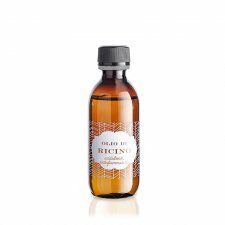 Arnica Oil with anti-inflammatory, analgesic and microcirculation stimulating actions obtained by grinding in oil of Arnica flowers and buds. Topical application in case of contusions, bruises, muscle and joint pain, sprains. Avocado oil from nutritious and protective properties, oil is obtained by mechanical pressure of the fruit of Persea Gratissima. it is nutritious, very penetrating and protective for dry and dehydrated skin. Traditionally used for eczema, solar keratoses, to improve elasticity, soothe and cure skin injured and, in combination with vitamin B12, successfully used in the case of psoriasis. 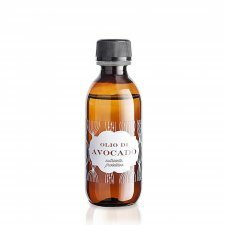 Shower gel with extracts of Organic Quince and Greek Hay that gently cleanses the skin of the baby. Particularly suitable for sensitive skin thanks to the careful formulation to the skin of children. Suitable for frequent use, the skin will not dry. Vegetable soap cold worked with Organic Extra Virgin Olive Oil enriched with organic extracts of Quince and Calendula and Wheat Germ oil with emollient and soothing properties. Castor Oil with softening and anti-inflammatory properties obtained by cold pressing from the seeds. Delicate soap without perfumes and essential oils to minimize the risk of allergies. Contains surfactants derived from coconut oil and from corn starch, it generates little foam and gently cleanses without irritating the skin.Suitable for dry and sensitive skin, intimate hygiene, detergency infants and children. Mouthwash wiht organic ingredients of plant origin. It helps to treat and prevent problems related to the deposit of dental plaque and tartar. It preserves the physiological balance of the mucous membranes. 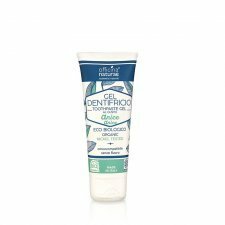 Eco organic toothpaste with anise extract and Icelandic Lichen and zinc citrate which help to prevent the formation and removal of plaque and tartar. Suitable for all types of mouth, gentle on enamel and gums. Formulated with a natural sugar that prevents the formation of caries. Ecological brush with sustainable handle material made from wood pulp. 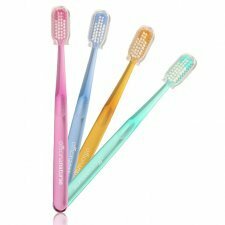 Soft bristles to avoid damaging the enamel and irritate sensitive gums. The materials used are disadvantageous for bacteria and mold. Ecological brush child with sustainable handle material made from wood pulp. 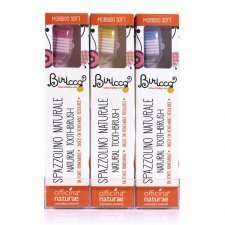 Soft bristles to avoid damaging the enamel and irritate sensitive gums. The materials used are disadvantageous for bacteria and mold. Ecological cleaner for all washable surfaces of the environments in which the animals live. 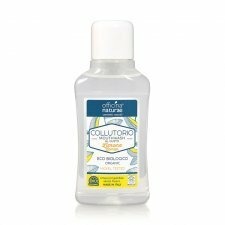 Formulated with hydrogen peroxide and surfactants of vegetable origin water to have sanitizing action, sanitizing and detergent. Scented with essential oils. Formula suitable for all hair types. The soft cream keeps hair soft and conditioned hair, improving combing. Silicone-free, it does not weigh down the hair. 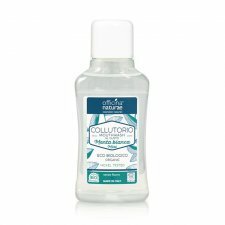 Suitable for people with sensitive skin, delicate hair and in case of Multiple Chemical Sensitivity (MCS). The innovative formula helps reduce the risk of allergies. It does not contain silicones and parabens. INCI: Aqua, Cocamidopropyl Betaine, Coco-Glucoside, Xanthan Gum, Potassium Sorbate, Sodium Benzoate, Cymbopogon Flexuosus Oil, Citrus aurantium Dulcis Extract, Citric Acid, Limonene, Citral. 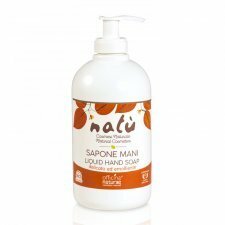 INCI: Aqua, Cocamidopropyl Betaine, Coco-Glucoside, Xanthan Gum, Potassium Sorbate, Sodium Benzoate, Lavandula Hybrida Oil, Citric Acid, Linalool. 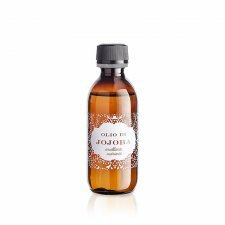 Jojoba oil with softening and nourishing properties obtained by cold pressing the seeds of the plant. Linseed oil with emollient and antioxidant actions obtained by extraction of seeds.